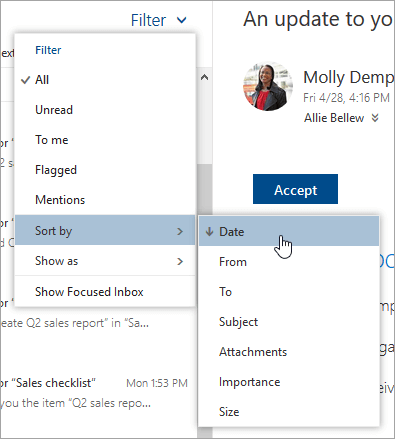 You can change the appearance of the message list and reading pane in Outlook on the web. Email in the message list can be displayed as individual messages or grouped by conversation. 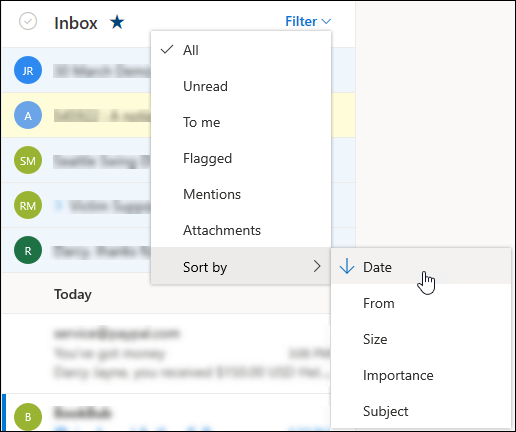 At the top of the page, select Settings > View all Outlook settings > Mail > Layout. 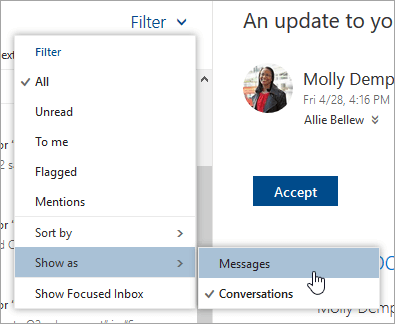 Use display settings to control the appearance of the message list, reading pane, and layout of conversations in the message list. Choose how the reading pane should be displayed, or if you want it hidden. Also, choose what should happen when you move or delete an item and what should happen when you sign in. Choose whether the sender name or subject should appear first, and whether to show preview text. Also, choose whether to show your next calendar event at the top of your message list. Choose whether the newest messages should appear at the top or bottom of the thread, and whether to show deleted items. Choose whether messages should be sorted onto the Focused and Other tabs. Select Show as > Messages or Conversations. 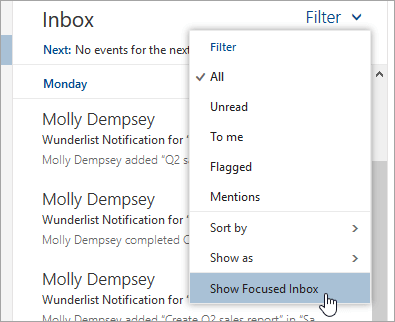 Select or clear Show Focused Inbox.